Joytalk Co. Ltd provides high quality Assistant Language teachers (ALTs) for junior high schools, elementary schools, kindergartens and nursery schools and Language Consultants for companies in the Kanto (Tokyo, Kanagawa, Saitama, Chiba, Ibaraki, Gunma and Tochigi) and Tohoku (Fukushima, Miyagi, Yamagata and Iwate) regions of eastern Japan. 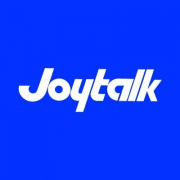 Joytalk has been operating for 34 years and also has private foreign language schools in Tochigi and Miyagi prefectures. Translator and interpreter services are also available throught bilingual foreign and Japanese support staff.